How do I sort incoming mail based on receiver address into different folders? 91. 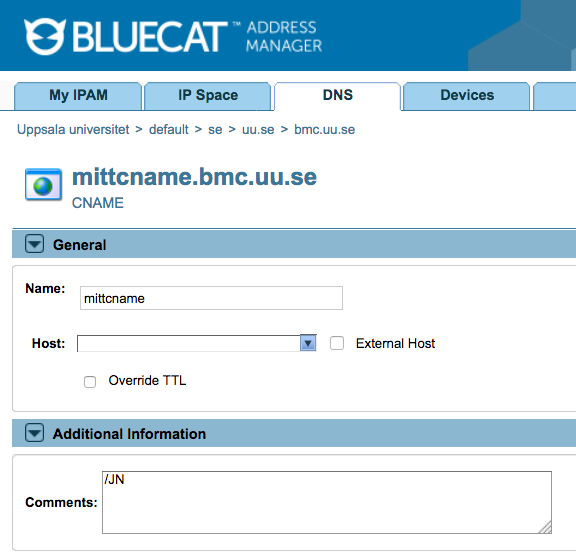 How do I add a CNAME in BlueCat? 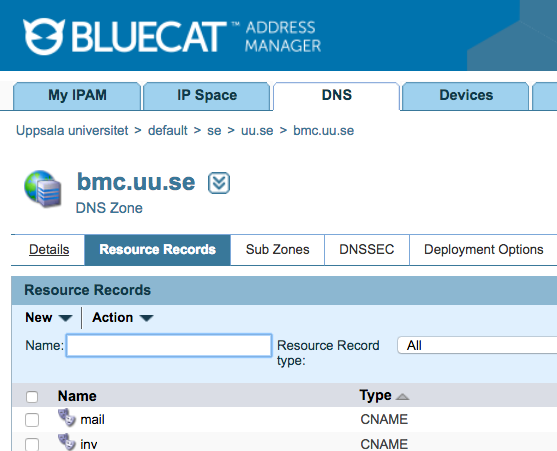 Go to the zone / domain you wish to add a CNAME to. Type in the name you want. Type in where you want it to go! 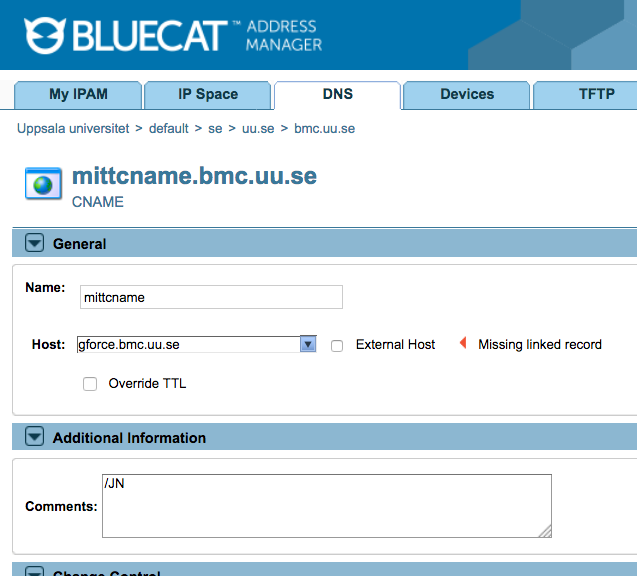 The A-record has to exist in BlueCat! 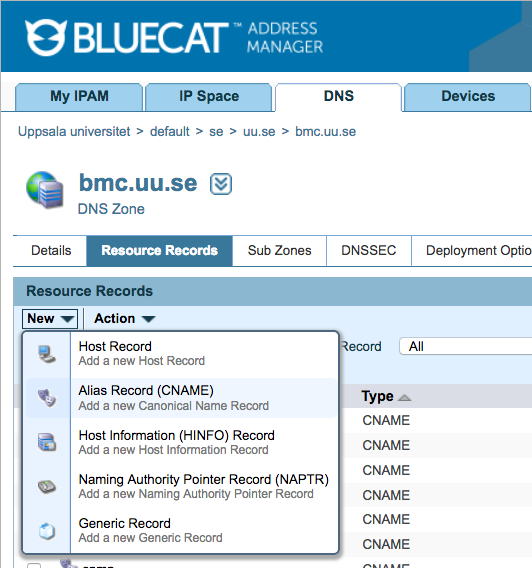 Otherwise press the External Host button.